Broken-down walls and crumbling stones seemed to possess a secret language all their own.What stories would they tell, if she finally listened? Ellie Carver arrives at her grandmother's bedside expecting to find her silently slipping away. Instead, the beloved woman begins speaking. Of a secret past and castle ruins forgotten by time. Of a hidden chapel that served as a rendezvous for the French Resistance in World War II. Of lost love and deep regret . . .
Each piece that unlocks the story seems to unlock part of Ellie too--where she came from and who she is becoming. But her grandmother is quickly disappearing into the shadows of Alzheimer's and Ellie must act fast if she wants to uncover the truth of her family's history. Drawn by the mystery surrounding The Sleeping Beauty--a castle so named for Charles Perrault's beloved fairy tale--Ellie embarks on a journey to France's Loire Valley in hopes that she can unearth its secrets before time silences them forever. 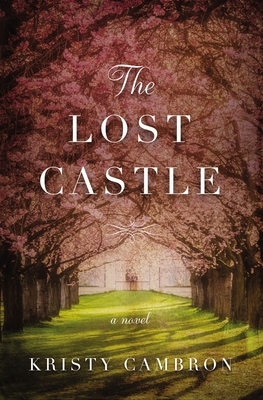 Bridging the past to the present in three time periods--the French Revolution, World War II, and present day--The Lost Castle is a story of loves won and lost, of battles waged in the hearts of men, and of an enchanted castle that stood witness to it all, inspiring a legacy of faith through the generations.